After many long nights, trials and tribulations, Super. Black.’s very own Dan O’Brien is ready to release his passion project. 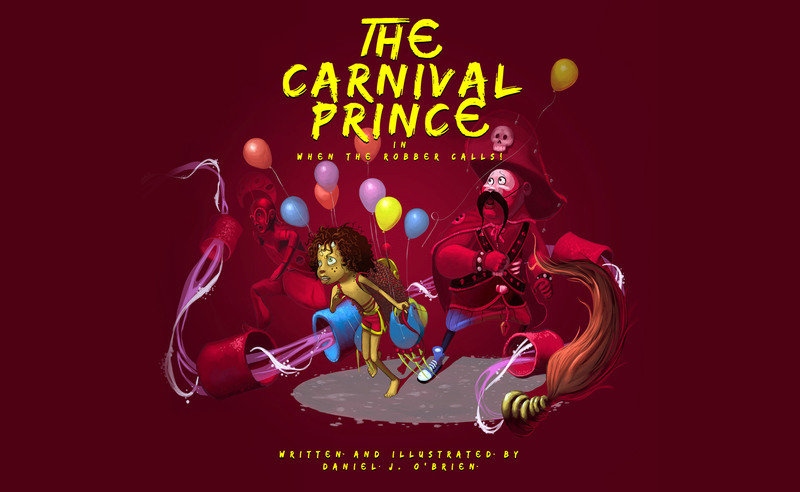 The Carnival Prince in When The Robber Calls is Dan’s love letter to Trinidad and Tobago and his cultural background. Join us on December 5th, 2017 at CCCADI 7-9PM for the launch of the new book. Bring the kids and stay for a live reading. Don’t forget to pick up a signed copy of the book. Traditional island refreshments will be served. All are welcome so bring a friend or loved one with you and enjoy the celebration. On this edition of Super. Black., Carl conducts an impromptu interview of Dan about his new book, The Carnival Prince. The more we create and uplift the better. Please support creatives like Dan and any other writers, illustrators, designers or content creators who look to enact positivity in the world today. Tell a friend or two. Or three. Visit Dan on Instagram and click through to TheCarnivalPrince.com for more information!